It's not official yet, but it appears Zeiss will soon announce the Otus 100mm F1.4 lens for Canon EF and Nikon F mounts, making it the longest focal length in the Otus lineup. 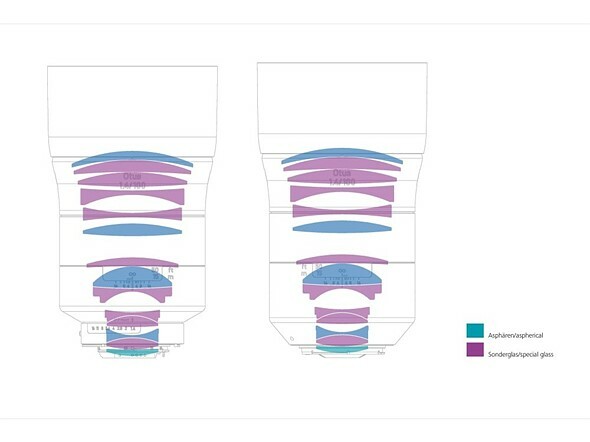 DPReview has obtained leaked images, with permission, from Nokishita showing in detail the impending manual lens and its accompanying specifications from Zeiss. 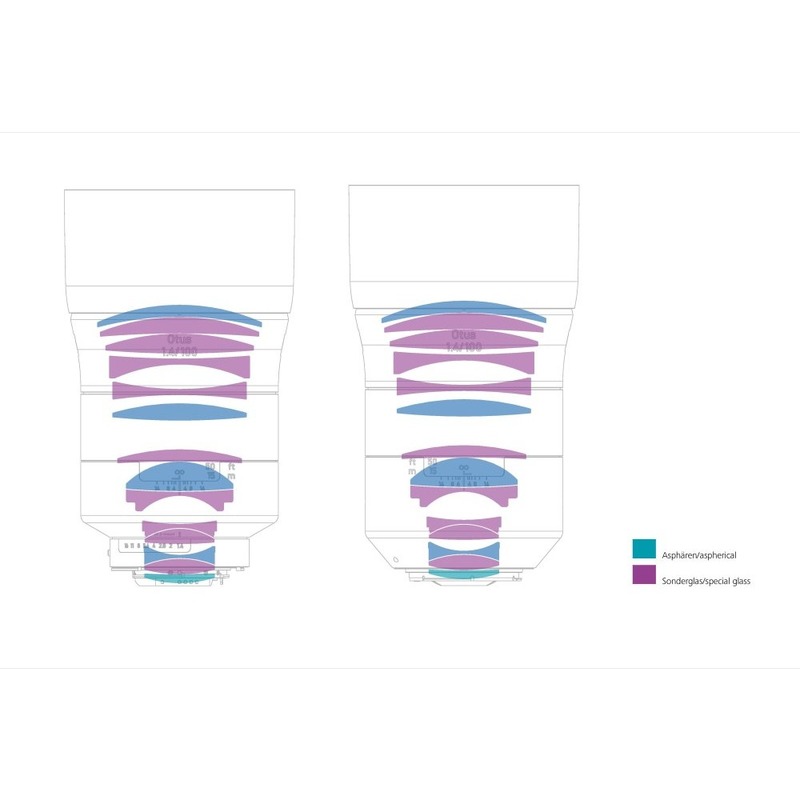 According to the leaked technical sheets (that appear to come directly from Zeiss), the lens will feature an Apo Sonnar design with 14 optical elements in 11 groups including one aspherical element placed at the very back of the lens and multiple 'special glass' elements throughout. It will feature an aperture range of F1.4 - F16, have a minimum focusing distance of 100cm / 39.37in and weighs in at 1336g / 2.95lbs for the Nikon F version and 1405g / 3.10lbs for the Canon EF version. Being the lens isn't yet official there's no detail on availability or pricing, but based on the $4,990 price tag for Zeiss' other Otus lenses, it's a safe bet the 100mm F1.4 will end up around the $5,000 mark. Yes, with a specific design for mirrorless cameras. EF and F mounts are obsolete. This new Otus 100mm lens isn't available yet, so no comparison is available just yet. I find it very difficult to justify the price of a rental for this Otus lens. $5000 for a manual focus lens. Seriously. It goes with those $7000 Prada shoes and that $3000 designer camera strap. On the plus side: if photos taken with this lens are out-of-focus and blurry, you only got yourself to blame. Have $5000 to burn and no clue what to burn it on? Here's a suggestion: get the $1500 SIGMA 105mm - it has AF to boot! - and donate the remaining $3500 to a worthwhile and respectable charity. I have both the Otus and the Art. There really is a significant difference between these two lenses and I always try to use the Otus when I can. Art lenses still have those annoying fringing and lower contrast and resolving power in heavily backlit scenes but I still love them because they are cheap but good performers. Also, even when scaled down, there something unique and special about the look of images shot with an Otus that I prefer just as some filmmakers will prefer an Arri Alexa with a 4K resolution over a Red camera with an 8K resolution. I know it's just MTF numbers and it bears little relevance - really - to a real photo. I've seen beautiful photos taken with a D750 and the 28-300VR, which most snobs will poo-pooh as amateurish plastic. My question is: once we're out of the El Cheapo Plastic gear category, does this outrageously expensive gear really make a noticeable difference? I mean compared to the more reasonably priced gear. By noticeable I mean my own lying eyes, and no pixel-peeping. I don't believe it's the camera and the lens that will make the photo. There's a lot of work to be done after pushing the button. Maybe it's because I'm not a portrait shooter - at all. I just can't get into that "dreamy" look stuff. "From an MTF standpoint, it’s better than any other 85 except the Otus, and it makes a very respectable showing against that fine lens.."
Again that is only based on an MTF standpoint and even there the Otus wins. Also, what I have to add to that is if you focus for corners instead of the center, the Otus will get much sharper on that region. The MTF already shows that it is a lot sharper in the center than the Art lens. My sister is a Leica shooter and I've tried many times to sway her away from that brand so that she can acquire more gear for the same budget. You see, I also thought that Leica lenses, although really good, were way overpriced until I came across the Summicron-C. The Leica Summicron-C Cinema lenses are among if not the very best and most sought after cinema lenses out there. Zeiss Otus lenses have nothing on those. If and when I strike it rich, I will gladly invest half a million dollars for a set of those Lenses which I will then rent out to filmmakers, agencies and production companies. Gear rentals is also part of my photography business. No, I did not read whatever Roger Cicala has to say. I looked at the numbers. Numbers are what I care about. Roger Cicala's personal opinions bla-bla-bla do not interest me. Many people manage to convince themselves that, because they paid a lot of money for a certain item, that item is somehow "better" than an equivalent, but cheaper other item. That's the whole point of marketing. If lens rentals is part of your business, you have a vested financial interest in pushing expensive, over-priced gear. Your rental rates are proportional to the price of the underlying item you are renting out. And many people carelessly comment on something that they know very little about and is based on what other people say and or their own very limited experience. I own and use both the Otus and the Art for a few years now as well as other 85mm f/1.2-1.4 lenses. I got the Art lens directly from Japan by pre-order before most of the world did and before I purchased the Otus. When our local Zeiss distro lent me an Otus and a medium format camera with lenses to review, I returned the MF and its lenses after a week but kept the Otus for over a month because I was so impressed by it. I've never loaned any of my lenses outside my team before. I added a lighting rental business because big productions and its photographers demand either Profoto or Broncolor only. We didn't need to push them these expensive equipment. If they are willing to spend millions of dollars for the advertisement, a few thousand dollars more in rentals will not matter to them especially if it gives them better and more consistent results and all the while saving them time, money and frustration. To be able to use the very best equipment that is also the most reliable and ergonomic gives them this. Finally, as a professional photographer and business owner for a decade, I am now at a point where I do not accept low budget productions hence I am not in direct competition with those who are still new in the business. You rent out equipment for pay. The price of your rentals is proportional to the price of the equipment you rent out. If profit was not your motive, you wouldn't be in business. That's all I need to know about your motives. I don't care where you get your lenses or how much you like them. I am interested in measurable performance metrics. The measurable performance metrics of this Otus lens, as well as the 85mm Otus tell me that it is an over-priced product, targeted at those who don't know any better, and who believe that more expensive is better by definition. I am not one of those people. But I am keenly aware that many others are. I have been shooting (photos) since I was 9 years old. I'm in my early 40's now. Here's an insight based on my experience: the equipment does not make the photo. It was true for film cameras, and it is equally true for digital ones, today. No one goes into business without profit in mind otherwise it will just be a non-profit organization. My business pays my bills. And we do not care how you interpret the results that Roger Cicala obtained. Most will agree with his conclusions rather than yours. Who are you again? We also could care less if you've been shooting since you were nine. I also started with film and could have possibly been shooting even longer than that. What matters is how you shoot now and what you get paid for it. Great. If your business pays your bills, go take care of your business, pay your bills, and stop pushing your overpriced rental gear here. I can ask you the same thing: who are you? I've already described to you who I am. Do you not read? You are the one who's pushing your beliefs against Roger Cicala's own conclusions and based on his data. Why should we believe you when you have absolutely no credentials against Roger? You are like that person that buys and promotes cars based on the brochure and the advertised top speed. Are you sure you're not a kid? Yes, I've got to take care of business. In fact, I have a shoot today as I did yesterday and the day before and will also do so tomorrow and the following day. Good luck trying to push your beliefs to others here of whom most also know how to read MTF charts. I can think on my own, and I can form my own opinions and reach my own conclusions. Can you? I don't care about Roger Cicala, or what he has to say. I care even less about you quoting Roger Cicala. Do you understand this simple concept? Stop pushing your rental gear here and stop parroting someone else's opinions. Try thinking on your own. Assuming you can. Did you send Roger Cicala an edible arrangement and a Hallmark card with a throbbing red heart? If you haven't yet, you should. Very soon. Go over-charge for your photo shoot because you're using Otus lenses. There's plenty of suckers out there who will fall for your con. I'm not one of them. Excuse me, you were the one who posted the link to Roger Cicala's review. I merely read what you posted and pointed out your error. It seems that you have have a problem with comprehension. I have a friend who might be able to help. She's a shrink in NYC with really impressive credentials. I'll ask her to give you a discount. Keep in touch. A lot has changed in these parts of the woods. And what if it looked like an 800mm f5.6 and cost just as much :/ ? Bravo otus! Sigma makes lenses just as good...with af and sells them at a third of the price. Seing how good the sigma 105mm 1.4 is the otus has a tough job ahead of it. The amount of close-minded thinking in comment sections is fascinating. Great for tack sharp portraits as long as your model stands perfectly still. Bravo Zeiss, bravo! I use Otus, and Otus told me to tell you..You don’t know Otus. Maybe but I know Schitt because people keep telling me. will this let me take pictures of black holes? For people who like to view an image with a jeweler's loupe. Seriously Otus needs to to move to mirrorless if they are sticking with MF. At least mirrorless have handy focusing aids like magnified view and peaking which make MF a doddle. Also no need for Otus, Milvus for mirrorless would be more than good enough. dslr has live view that can focus zoom too. I used to do that. I disagree. You buy these lenses to keep them a lifetime. With Nikon F or Canon Ef-Mount you have the biggest flexibility regarding the flange distance and therefore no problems adapting these lenses to any mount. Oh my..You can Attach Otus to Mirrorless...another one with no clue... I bet you are a DX Queen. Oh dear another arrogant little forum twerp. Maybe you want to add even more weight and length with another expensive adapter, I'd rather have native options. I wonder how this compares to a Samyang MF ... No kidding, I have a Samyang 35 f1.2 and it's absurdly sharp from corner to corner, and the price to say, less than $ 400 ... Samyang also has a MF premiun series, the XP, its design reminds me a lot of Otus, these are more expensive, but not the fifth part that a Zeiss, I would like to see some direct comparison, just like the big brand gets blushed. I did not know, the truth is that the shape is very similar, parasol included. I would like to know about quality, I am very surprised with my 35 f1.2 and it is from its normal line, it is the best lens I have tested for Sony E APSC and I have tested all Sony (50mm 1.8, 35mm 1.8) and Sigma (16mm f1.4 and 30mm f1.4), this Samyang turns out to be the sharpest, without distortion, with better contrast and a very nice reproduction of color (the Sony 50mm 1.8 and the sigma 30 f1.4 approach but do not arrive ). That's why I'm wondering and I do not think it's crazy if you can optically compare an XP with an Otus. It's a good thing it says Zeiss instead of Leica or we'd have to endure infinitely more inane comments about how overpriced it is. I bet Liddy and Hunt had their hands in this. I've been taking pictures for 48 years and am a Leica, Hasselblad and Zeiss Otus shooter. I've had Minolta, Nikon and Canon. If I shoot a picture with a Canon camera and a sharp Canon lens, and then put the 55 Otus on the camera and shoot the same scene, the Otus is the better of the two. If I take a cross-country trip and take 10,000 pictures, then put them in Lightroom, then look at the photos, the Otus will be the stand out over the Canon pics. You will just be searching for the images you glanced over and suddenly stop. That's the Otus. When I sold the Canon gear to buy more Leica, I kept the Otus to use via a Novoflex adaptor on my Leica SL. The Leica glass and Otus are on equal footing. It's hard to tell them apart without looking at what the data says. There's a saying in the photography world: it's the lens, stupid. It cost more because it's higher quality and it renders better. It has more contrast, and it's sharper from corner-to-corner. Don't knock it until you've tried it. With all due respect, everybody knows this. The lens is what really matters, images with an exceptional lens will stand out and have better corners, spend more and you get more, etc. What sharp Canon lens are you talking about? Agreed. For some reason people think every lens is meant to target them. This is niche, but there is a market. Most people aren’t in that market, which is fine. Most people aren’t photographers persé, either. if i had that much disposable cash, i'd get one! if nothing else, can you imaging the right to brag about owning this lens to friends? I'd rather brag about something collectable(not just cosmetically like the Leica limited editions). Once you factor in your lighter wallet from taking out money to buy the Otus, the lens doesn't actually add that much weight. Holding out for a silver plastic version to match my Rebel. What do you think a news site for photography is for? Of course, but it's "leaked" free advertising. With permission, no less. $5000? I'll order 3 then. One to cut in half, one to convert into a coffee mug and one to use as a hammer. A mug with a genuine Otus housing...definitely intriguing! I think this Otus will show its true character of being sharp as......... wide open just like Otus army. It better to have sharpness which can be softened later but you can not shrpen a photo which is already soft to begin with. There doesn't appear to be a gasket at the lens mount. You'd think for a lens which costs this much would include that feature. Anyone with the wherewithal to spend US$5000 should expect this engineering. So what if it adds another Zeiss$300? Isn't this lens worth it? defiinitely! I shoot 99% of my portraits outside in the rain. Deal breaker! First, it's not leaked, that's a joke. No AF for a lens with paper thin DOF is another joke. size, price, weight, ergonomics... there's more jokes about Otus. I'm not buying one there's plenty of people in the world that can easily afford Otus glass and they do give fantastic IQ. Personally at this price point I think I'd rather go MF or even Tech cam. I disagree with the fantastic iq. I tested Otus, yes it's very sharp, CAs are minimal, but there's plenty of lenses that are sharp wide open and have minimal CAs and somehow produce images that look much better. And the long range of focusing ring? It's not more precise, it just takes longer to refocus. Can't help it, but this is more about the "Zeiss" than anything else, like with all their products. At least the classic series looked very nice. I have the 15mm Distagon and I really like that one.
" Leaked images"... Hello DPREVIEW... WAKE UP...Do you believe yourself what you write...?!?!? Mitakon 135mm f/1.4 is just $3000 if I want a fast mf lens. Don't expect AF on future Otus lenses either. You can’t be serious, right? Mitakon and Zeiss Otus don’t even belong in the same sentence. @hfolkertsma, yes, for snobs they don't. For people who want to maximize the price/performance ratio using their hard earned money, they do. Leaked is a new word for just marketing by the manufacturer? "DJI Mavic Air *leaked* ahead of announcement, looks like a Spark-Mavic hybrid"
Authorized leak? That isn't a leak. Hahahaha. No one will spend that kind of money on a lens nowadays! So silly. If one finds use to it, why not? Looks like a very competitive lens. Nope. Just overpriced because of the name. Many other way cheaper lenses out there. Unfortunately people are sucked into the silly hype of it all. And since 99% of stuff is viewed online now, no one can even tell the difference. They time for these over priced lens and cameras are coming to an end. Mark my words. Just look what mobile phones can do or the GoPro 7! U r 50% correct. I have not bought an Otus, but I have Rented an Otus. @cirtapfotos. I agree. More often than not super high priced gear is rented short term or leased when long term. Make tax write offs easier than deprecaition. You'll need a forklift to pick it up. One of those big carbon fiber tripods, at least. Otus series lenses are the best in the world, and in fact they are cheaper then analog Leica lenses, made way better with better optical quality. 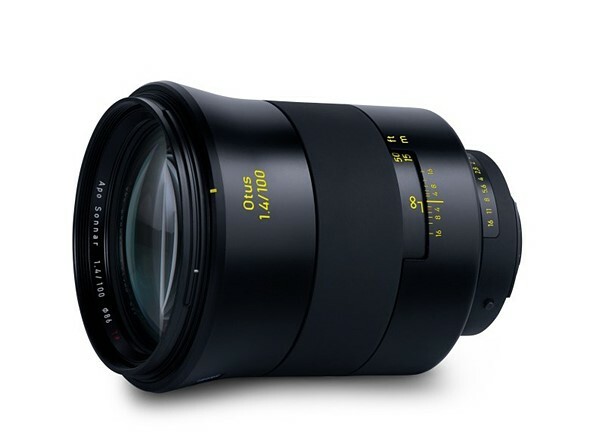 Now Otus55/1.4 is possible to buy for 2500 USD in mint condition, even cheaper. 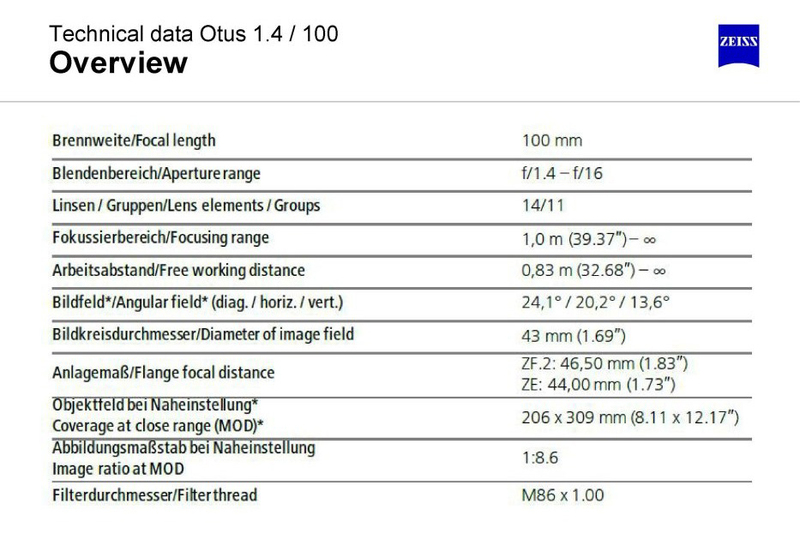 Who want really top optical and mechanical quality lenses, they will be happy, but I don't understand for what they will do 105/1.4 after 85/1.4, there is not big different, must better will be 135mm Otus series lens, not F1.4 but, for example, F1.8 or F2. 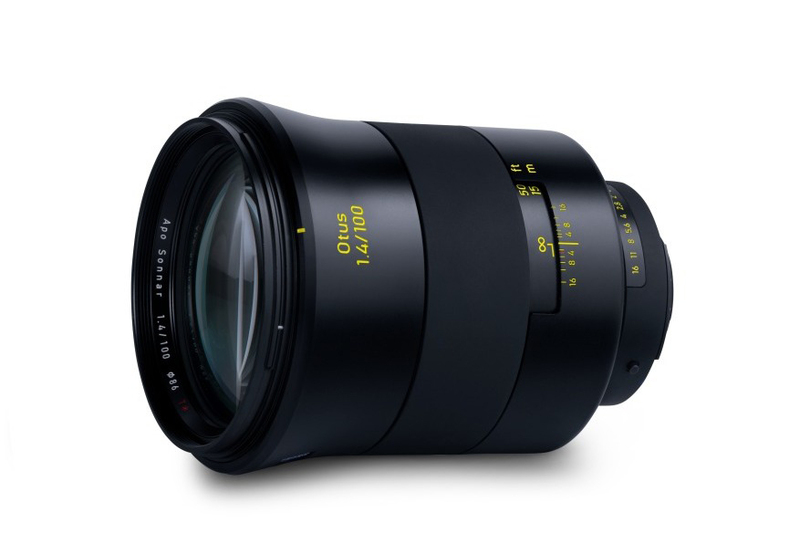 Probably Zeiss will do it too, and of course the 20mm or 18mm Otus series lens. Am familiar with the 30 yo Minolta lenses on my α850. My 70 yo Carl Zeiss Jena m42 mount lenses are killers and much much better than the Minoltas on every field. Does this -in your opinion- make the East German zeiss better than Oberkochen ones? The analog Leica's are at least fully mechanical. The EF Otus doesn't have an aperture ring and the Nikon direction is backwards. 28, 55, 85 and 100. Hmmmm, curious choices. Probably the same innards, spaced out differently, with the 85mm. Just a guess. 105mm was to mushy. Not sure I will ever pay that much money for a lens that is 0.5% lpi better than a 300$ Rokinon. And your assessment is based on testing this unreleased lens? ..very likely. I think Zeiss gives much more than only LPM on a Specsheet. For example, I guess the focusbreathing is also very minimal... something where cinelenses get very fast into very high priceranges. It's manual focus and fixed focal length, so focus breathing won't be an issue. Mr Bolton is right. No focus problems. TomA. Its a matter of economics and this is a valid analysis. The difference between two lenses of similar diameter is small. Very small in fact. Zeiss and Rokinon have both a very good trackrecord on making sharp lenses. Their lpi, photon permeability, on the simpler lenses is very high. My 8mm and 20mm Rokinon prime cine lens is superb. It makes a pricey Zeiss not worthwile and 100mm looks just old because storytelling is now done with superwideangle lenses. I own 8mm, 20mm, 2 50mm, 180mm and a 1200mm refractor. And I dont own or use anything between 50 and 180mm because it feels like looking down a tube. What does being manual focus or fixed FL have to do with breathing? A declicked prime gives you more control. AF is not needed, is detrimental and unimportant in the new cine paradigm of wide angle prime shooting. Clean footage lets you add mood later in post..or not. Focus breathing is an artifact of AF hunting to re-acquire focus. Since manual focus stays where you set it, it doesn't breathe. Er, that would be wrong. Focus breathing is the change of focus plane with change of aperture. So, if you focus wide open, stop down, and take a photo, you will have focus breathing if the lens is prone to that, no matter if it's manual or auto focus. Oh, OK. I've heard/read of DFD and contrast detect AF systems hunting for focus back and forth periodically in a video, and this referred to as breathing. But yes, myself and others are incorrect in using this term to describe the phenomenon. Oops. vscd. You, Sir, are, correct. lancet. Correct. Thats why declicked primes makes great dual purpose lenses. For video AF is just awful nomatter how good the tracker software is. At $5000 it will not sell, they need to lower the price to around $350 to $400, and they will likely make more money at the end of the day with increased sales at a modest profit margin rather than going for an unrealistic astronomically high profit margin. They can then make an auto focus version for $500. And if they really want to charge $5000, they should make a package deal where the lens (AF version possibly with OIS) comes with a Nikon D850, 3 quality studio strobes (600 watt seconds+), and an assortment of light modifiers and gels. I've heard that the more 9's in the price the more likely it is to sell, so I suggest a price of $9999.
" If you were thinking about buying the Nikon 105mm f/1.4E, skip it and buy this instead. The savings in cost more than makes up for the larger size and weight." "Sigma has done a stellar job with their Art series primes, and the new Sigma 105mm f/1.4 Art Series just continues that level of excellence." I know that Summicron-SL 2/90 is shorter and slower, yet, based on my experience with it, I am super curious what Zeiss should do to come close to its performance. 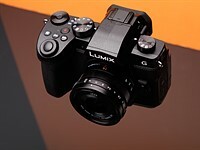 Well, now Panasonic Lumix S1/S1R has this mount, and I'll be damned if these two cameras didn't give Nikon and all others for that matter a run for the money. VERY true about the S1/R! Indeed, at present it is THE mirrorless to watch! Well the 90mm SL 2 is not only a different focal length, but it also has "only" a 45mm aperture. The Zeiss is a whole different beast at 71.5mm aperture diameter. the difference between 85 and 100 is surprisingly significant, just like between 75 and 90 summicrons. Despite them having very similar signatures, I couldn't bring myself to like the 90 for anything but product shots and full-face portraits. 75 leaves so much space to work with while the 90 feels too confined. Wait till Samyang/Rokinon release a cheaper version. I have never seen a review of Samyang Lenses ever topping Art or Otus...Best you now...show us all them links to ur missing links. 🥴 And no to Sausage Links! Sorry... no red ring. What will my friends think?!? PASS! Given the performance of the 135 1.8 GM, I think I'll wait for the Sony, or confirmation that the Sony is just a rumor. The Sony would be an autofocus lens, of course. Also, the Sigma 105mm 1.4 is already amazing and AF. The Sigma and Nikon options are great too. But sadly they missed the opportunity to equip their lenses with fast AF designed for mirrorless. For people shooting Nikon and Canon, that Sony lens is not going to help much. Its cheap as chips for some people- I am not one of those "some." Good lenses, the Otus series. May be, they will be worth their cost when we start seeing 100 MP FF cameras. 3 lbs! Why that's like carry a bag of 12 quarter pounder hamburgers around with you, no room for the french fries, nor any money left over to buy them. Maybe we should start using quarter-pound Big Macs for scale here on DPR. If you're into quarter pounders, you are already carrying a dozen or so around your beltline. @vscd yes! Please stop with this imperial nonsense. @vscd yes! Please stop with this imperial nonsense." I almost give it a second look right before I realized it is MF only. So almost did I, before realising it's for EF and F mounts only. Oh, and $4990. What else do you want for a manual lens? Simply adapt it to the desired mount. No loss of Autofocus-speed, believe me, but an open market for everyone, even mirrorless. Due to the rapid increase in lens weight, Zeiss will now be naming the line Bloatus. Nikkor f1.8 lenses are wonderful. Not for Non-Nikon-users... so... no, no solution. How in the world will this compete against Nikons 105mm which has AF. As well as Zeiss Milvus lenses 'compete' with regular Canon and Nikon lenses. It will compete by offering superior optics. The Bentley is an entirely different product than a Toyota. These lenses will go onto the same camera. They are direct competitors. Pay more for a manual focus lens that will be extremely difficult to focus. Or pay less for AF. The Nikon is a creamy dream come true portrait lens. More of a Bentley vs Benz comparison. Unfortunately this Benz is a little longer, looks just as good, is just as fast, but costs 1/3 as much, and most importantly, it comes standard with a chauffeur (AF). Another thing to consider the Nikon 105 is going to be way easier to shoot portraits wide open on the Z cameras when the Eye AF firmware is released next month. People will have that in mind when choosing between the two lenses. I won't argue the Nikon's quality, or that it's got af. Just that the otus has one selling point; iq. And it'll smoke the Nikon, no competition. Maybe we haven’t seen anything yet so I will wait. I do doubt it is going to be any better IQ really. It is a portrait lens mostly and the way it renders is more important than critical sharpness. I am sure the Otus will be fantastic. Well except for the out of focus shots when shooting wide open portraits. Don't forget all of the out-of-focus and completely missed shots because of no AF. It is utterly insulting and stupid at this price point to not have AF. A manufacturer demanding the manual-focus sacrifice from busy professionals for a hairsplitting IQ difference at double the price of other exceptional professional lenses is pretty much the height of hubris. Then how does the Otus 28 compete with the AF nikon one? How does the Otus 55 compete with the Nikon 58mm one? How does the 85 compete with the Nikon 85? The reason those Otuses (Oti?) sell is that they're the highest optical quality camera lenses currently in production and up for consumer sale. They're the holy grail of resolution, flatness, lack of distortion, and buttery smooth bokeh. But you do have a point, nowadays they have a hard time with all these amazing AF lenses coming. And now Nikon 105mm f/1.4 and Sony 135mm f1.8 GM. It's a hard time to be a lens maker trying to compete! There is no denying they are all optically superb. But let's be real. It's like Leica. Far and away THE biggest reason such lenses are bought is for poser bragging rights. Jewelry. They are not the tools of working professionals regardless of their gear budget. Without something as rudimentary as AF, it's tough to consider any lens a tool in today's world. But yes, by all means, compare Otus and Nikkor f1.4s side by side. By all means that's the name of the game. My bet says each Otus will best each Nikkor. So, if you have all day to set up your shots on a tripod and have stationary subjects, get the Otuses. And then when your camera comes off the tripod of you have non-stationary subjects, stick your Nikkors back on. Completely agree. I'd have an OTUS AFTER having an AF 105 to cover work, and use the Otus for nerding out and video shooting. But not as my sole lens. With the very high performance we are seeing out of the Nikon Z mount lenses even the Kit lens and the lowly f1.8 primes. It will very interesting to see how all these high dollar old mount lenses stack up. We already see that the Nikon 50mm 1.8 Z mount destroyed the $5000 Otus. Can’t wait for the Pro models to arrive. But again, the Otus is about portraits. And clearly Nikon is on the silly "Sharpness Bandwagon" right there along with Canon and Sony... Crazy sharpness comes at the expense of elimination of spherochromatism, and that's the goodbye kiss to dreamy bokeh. In other words, a crappy portrait lens. Ya can't judge a 50mm or longer Otus by sharpness. Bokeh is the name of the game in multi-thousand-dollar f1.4 portrait lenses. That is almost the sole characteristic to consider. I agree in what you just said 100% ...Pussies Use Auto Focus.